We sat down with artist and All Girl Electronic facilitator Nicola Morton to find out why you should apply! My approach to music comes from a reflective place, it is quite dependant on the concepts of current and waves of electric sound, playing in the moment and crafting a thoughtful, minimal sound palette. My music is characterized by its openness to off kilter moments, and a sound palette often so abstract it can be confused for sound FX. I’ve been listening to my recent acquisitions in my record collection at the moment. My fave is Scraps, a solo female artist from my hometown, Brisbane. Her music is so upbeat I find it real motivational. Ditto for Sydney act, Holy Balm. I remember my mind being most blown away by the concept of sampling and layering tape loops, I’m still very influenced by Minimalist artists I studied at University like La Monte Young and Terry Riley. Thats why I never leave home without my Realistic Concertmate 250. Most people would know it as a copy of Casio SK1, a toy sampler. Its great coz it works off batteries and is great when jamming with other people to be an abstract sound in the background or a dominant rhythmic interplay. I love it. “LISTEN!” It really all boils down to that. What was your first gig as a punter and performer? Brisbane has a massive DIY bend and my first show as a punter was at a local high school house party. Punk bands like Knaw, and the all-girl Gazoonga Attack played (though I’m pretty sure GA had another name back then). I was a bit shy when I was younger, working inside the computer etc . My first show as a performer came after I submitted a demo to community radio, 4zzz’s electronic music compilation/competition Gizmo. I made it onto the compilation and my first show was the launch. Haven’t been that shy since. The All Girl Electronic program is unique in its approach of providing a non-competitive environment for girls to be themselves and find their voice in the electronic music field. Talking with other females who’ve been working across the industry while working on their own skills and even just while chatting with each other – each moment is a priceless opportunity for the girls to be comfortable, confident and creative. Nicola is an electronic music artist who uses DIY experimental processes in composition/performance. She holds a Bachelor of Music Technology from Queensland Conservatorium of Music. She has composed for gamelan and classical ensembles in Australia and Indonesia, and has spent the last 7 years focusing on analogue synthesizers and free improvisation touring throughout Europe, China and the USA with various performers, ensembles and groups. 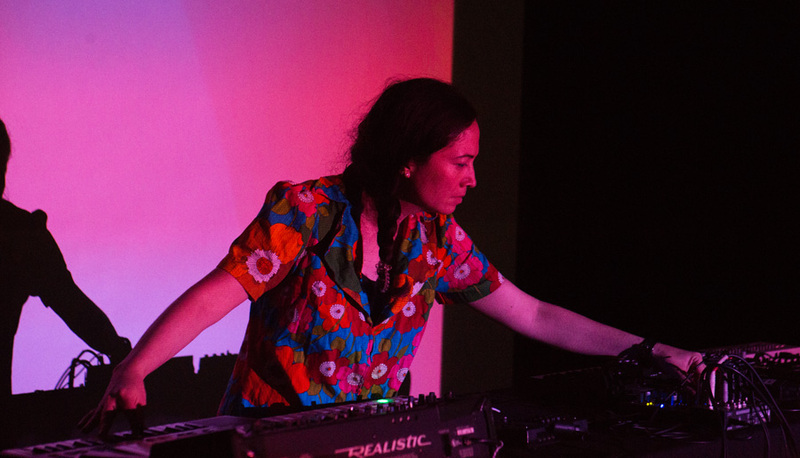 National Film and Sound Archive has collected her solo experimental electronic recordings released on Australian DIY labels: Breakdance the Dawn, Alberts Basement; and European labels Musica Dispersa and LF Records. If you would like more information about All Girl Electronic, you can get in contact with Julia at I.C.E. for more details.